Ph.D., University of Lausanne (Switzerland), School of Business, Department of Management. Master in Economics & Business Administration, University of Lausanne, School of Business (Switzerland). Degree in General Psychology, University of Lausanne (Switzerland), Institute of Psychology. Strategic Human Resources Management, Executive Education, Harvard Business School. Alain Salamin received his Master in Business & Administration in 1987, and then started an international carrier as Product Manager in the textile industry. In 1994, he went back to the University to complete an education program in psychology, as well as a PhD in Management. After that, Alain worked in the HR departement of the Swiss Bank Corporation, and, following a 1 year stay in the US, he was part of the HR merger taskforce at UBS in Zürich. He then moved to Geneva to discover the world of perfumes and flavors in the HR department of Firmenich. 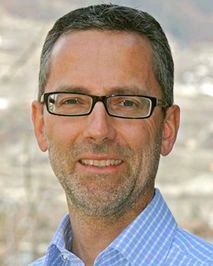 In 2005, he joined the Ecole Hôtelière de Lausanne where he was consulting and teaching. In 2006, he joined Medtronic, the leader in Medical Device. Since 2011, Alain created his own advisory company, AS-HR Consulting, specialized in HR related matters and Compensation & Benefits. Elected for a complementary post-doctoral scholarship of 12 months by the Van Walsem Research Foundation in Lausanne. Elected for a 12 months post-doctoral scholarship by the Swiss Science Foundation for Research. "Swiss Solidarity Award" granted once a year by the Dean of the University of Lausanne for the special quality of doctoral theses.